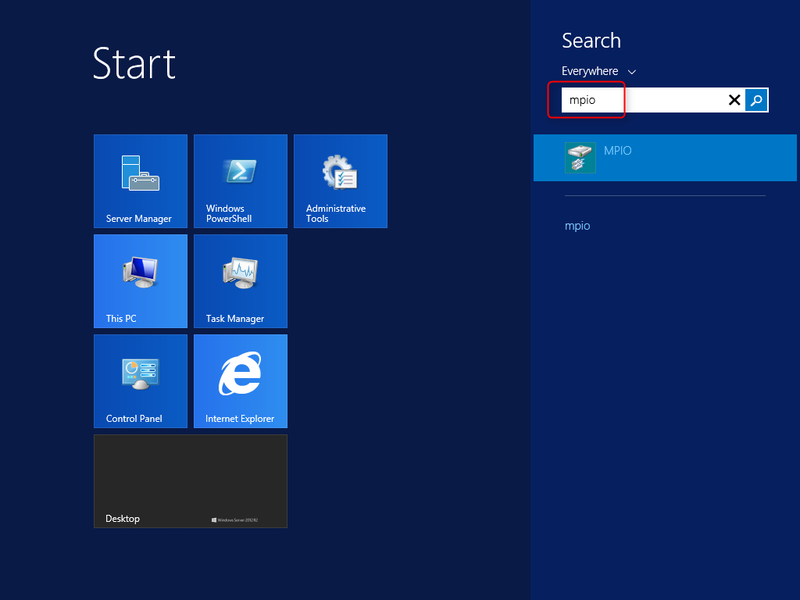 MPIO in Windows works a bit different then i’m used to on VMware. Where VMware almost always detects this out of the box, Windows does not detect this so you need to help it out a bit. 3. 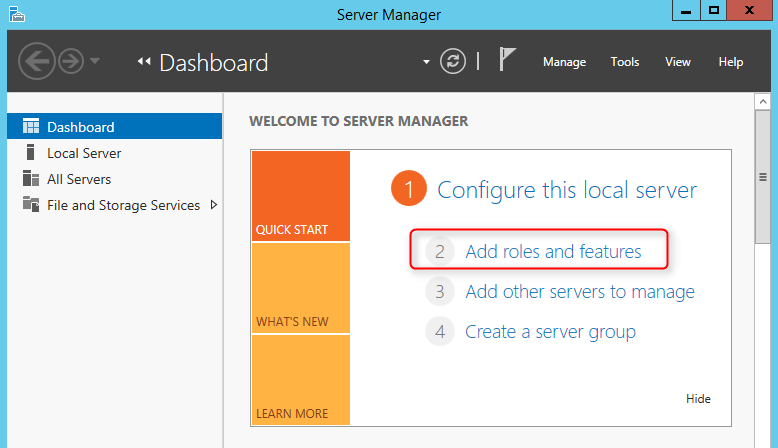 On “Server Manager” window, click “Add roles and features“. 4. On “Before You Begin” window, click “Next“. 5. On “Installation Type” window, select “Roles-based or feature-based installation“. 7. On “Server Selection” window, click “Next” twice. 8. 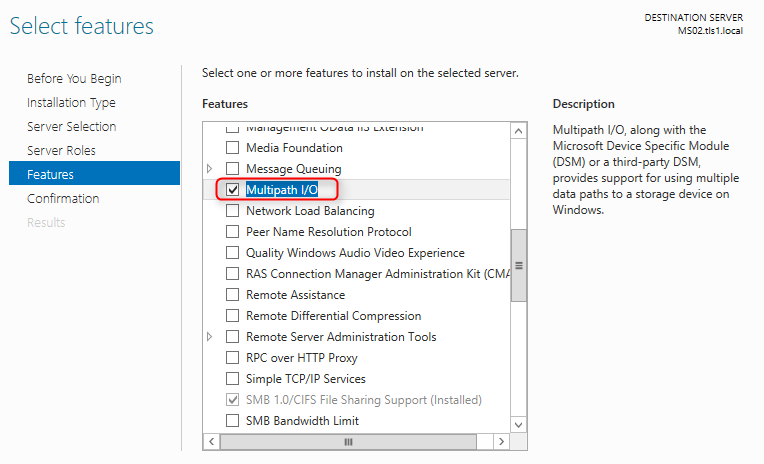 On “Features” window, check “Multipath I/O“. 10. On “Confirmation” window, click “Install“. 11. On “Results” window, click “Close“. 12. Press “Start” button and then enter “MPIO“. 13. Click the “MPIO” icon. 14. 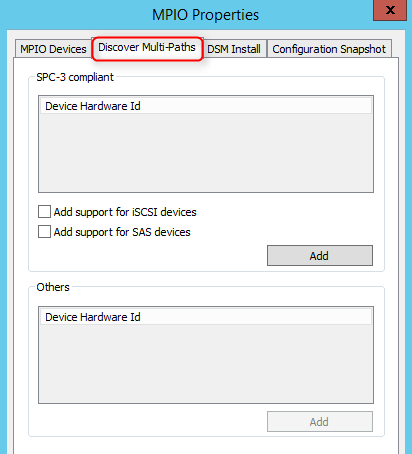 On “MPIO Properties” window, select “Discover Multi-Paths” tab. 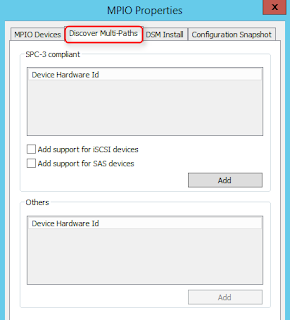 In cases where you use a supported storage device like a 3PAR system connected over FC it will be shown under the SPC-3 compliant devices. Click add then OK. 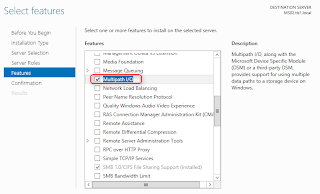 If required enable support for SAS and/or iSCSI. 15. On “Reboot Required” window, click “Yes” to restart the Windows.